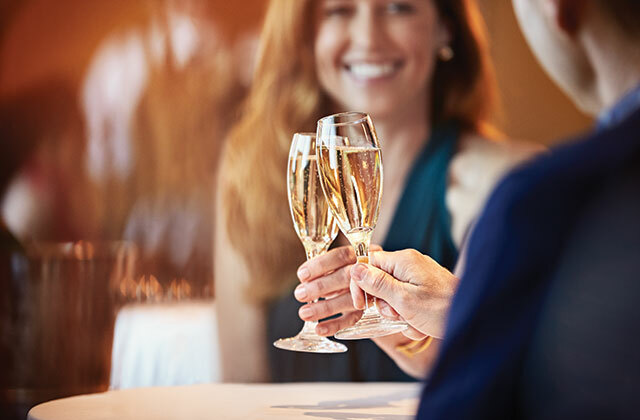 EXPERIENCE ROMANCE AT SEA: Make your milestone one to remember with an onboard romance package. Anniversaries are less about counting the years and more about reliving the moments. Add to them with a dinner for two in one of our specialty restaurants, a few festive indulgences and a photo to remember it all. Your love throughout the years deserves commemoration. 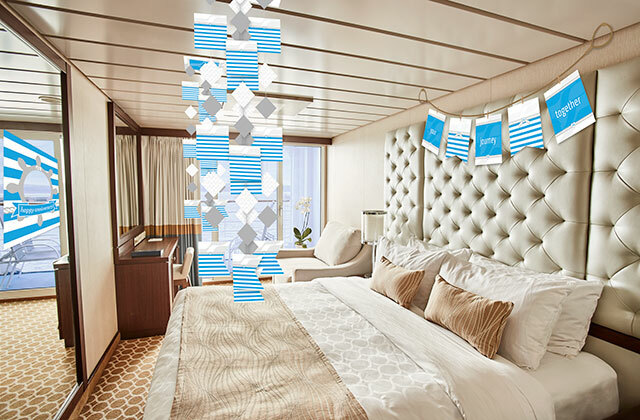 Decorate your stateroom with something that reminds you of where you’ve been together and where you’re headed next. How do you celebrate saying “I do”? With the finer things in life. Vintage Champagne, a gourmet breakfast on the balcony and quality time together soaking in the dry heat, steam and aromatherapy mist of our therapeutic thermal suite. They say it’s the thought that counts. And when the thought involves iconic romantic gestures, like decadent treats and flowers synonymous with passion, it says that this is the kind of love that lasts. Renewing vows not only honors a couple’s past but also confirms their commitment to the future. In addition to a special ceremony, this package includes the flowers, formal portrait and other niceties befitting the occasion. You bring the words and conviction; we’ll supply the rest, from a videographer to prep the proposal to a photo of the moment itself. 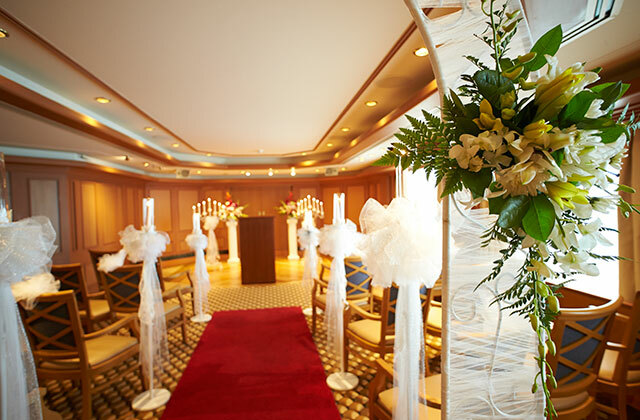 Then celebrate your newly engaged status at a specialty restaurant, a side-by-side massage in a private suite and more. 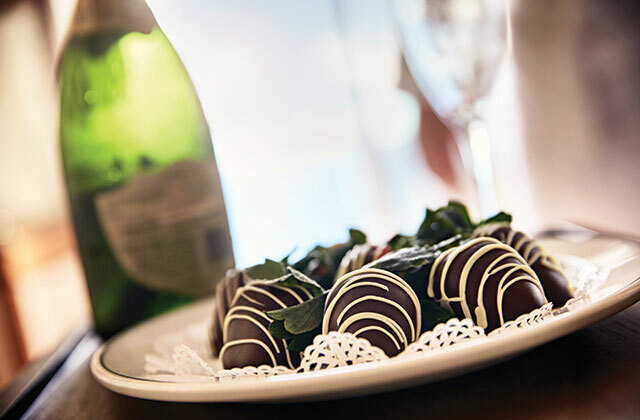 To experience romance at sea with Princess Cruises, contact me today. 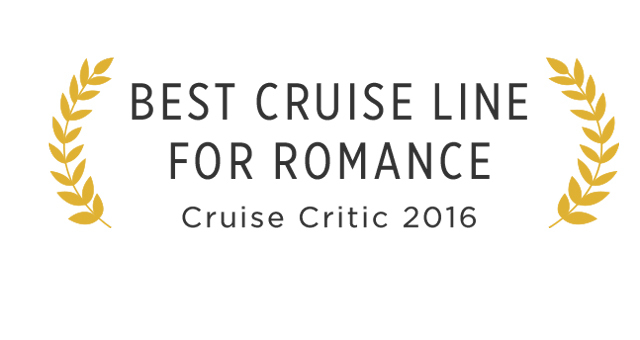 Interested in Romance Package with Princess Cruises?